The park position recall feature automatically marks your parked position as a point on the map as soon as the sat nav is removed from the mount so you never forget where you leave your car. When you�re ready to go home, the sat nav will help you navigate back to the car on foot. The Where am I? safety feature can be very helpful if you break down or need a certain service urgently. Just tap the car icon on your map screen for your exact coordinates, contact details for vehicle recovery services and directions to hospitals, police and petrol stations. Download cityXplorer via www.Garmin.co.uk/cityXplorer to navigate like a local. The enhanced pedestrian mode gives you directions for walking including footpaths and shortcuts through parks - places you wouldn�t be accessing while in your car. It also tells you where to catch trains, buses and tubes (dependent on the city), and how long it will take to reach your destination. cityXplorer even has public transport timetables to ensure you arrive at the station on time and help avoid long waits (dependent on the city). Simply choose the "less fuel" option on the ecoRoute fuel-saver feature and the nuvi 2200T will calculate the route which will use the least fuel. You can also see the estimated cost of your journey as you plan it and get scored for your driving performance with the Driving Challenge - good for identifying areas for improvement. Garmin has a unique, pan-European speed camera warning system, giving real-time, reliable, and accurate alerts. The nuvi 2200T has the location of fixed, average speed, mobile and temporary cameras already built in. New or moved cameras are constantly tracked and the database is updated daily. You can also manually correct/update road speeds using speed limit reporting. 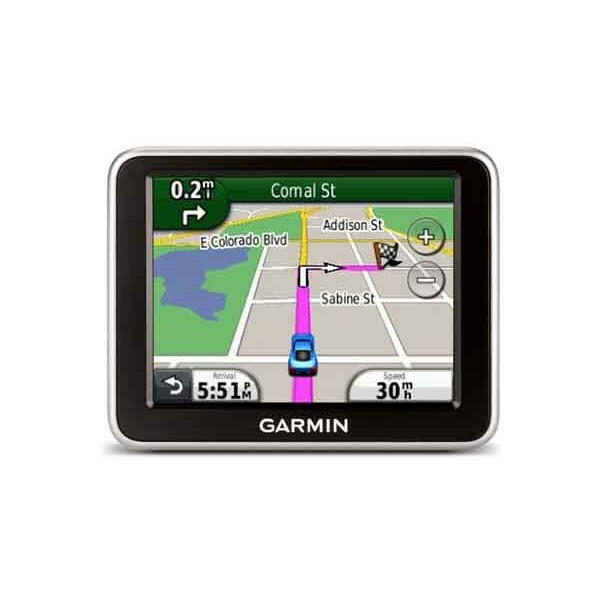 There are lots of extras you can add to your Garmin sat nav. These include travel guides such as AA Days Out, The Good Pub Guide, historical audio tours and more. You can also have some fun by adding celebrity voices. If you�re a music fan you may want to download the locations festivals in the UK, or if you want to go on a shopping trip the locations of shopping centres.